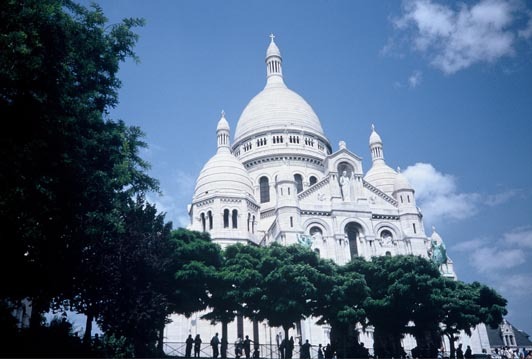 Entrée to Black Paris - What’s New - December 2013 - We have new e-books in the works! One is entitled Dining Out in Paris – Our Top Twelve Restaurant Recommendations. We review at least one restaurant per week and have interviewed the chefs or owners of establishments that we found particularly appealing. Among these, we selected twelve that we believe travelers to Paris will enjoy. 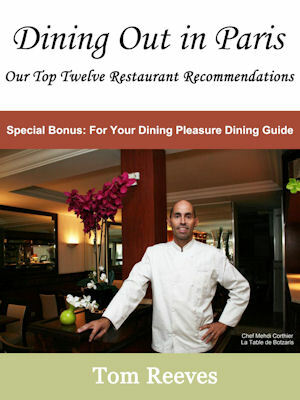 As a special bonus, we will include our popular For Your Dining Pleasure dining guide in the book. Dining Out in Paris is now being formatted for Kindle and will soon be available on Amazon.com. Another book that we plan to publish soon is a second volume of our acclaimed book Paris Insights – An Anthology. As of the end of December we will no longer publish our Paris Insights newsletter. We began writing it in February 2000 and have had a wonderful time exploring the city to discover new insights to share about lesser-known historical and cultural elements that make it such a fascinating travel destination. We thank all of our subscribers for your support all these years!